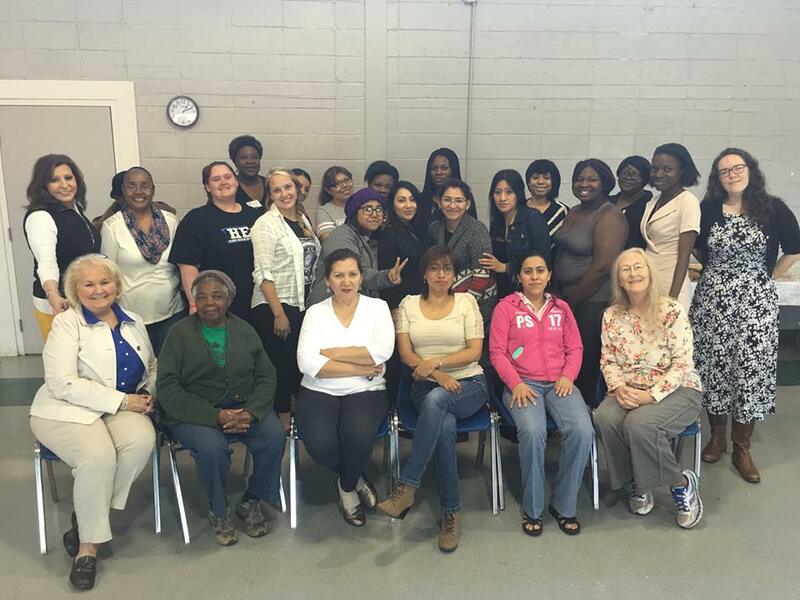 - In March, we granted 6 GED vouchers to women at Athens Technical College. 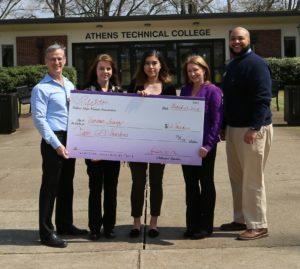 - In May, we granted 3 scholarships to women who recently completed their GEDs and entered technical certification training at Athens Tech. 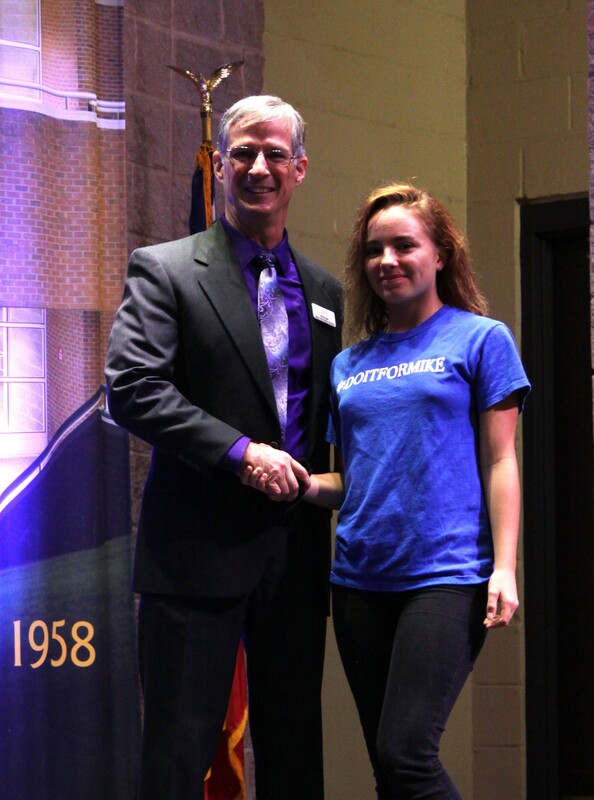 These scholarships not only covered tuition, but also provided money to overcome other impediments to their education, such as transportation and child care. 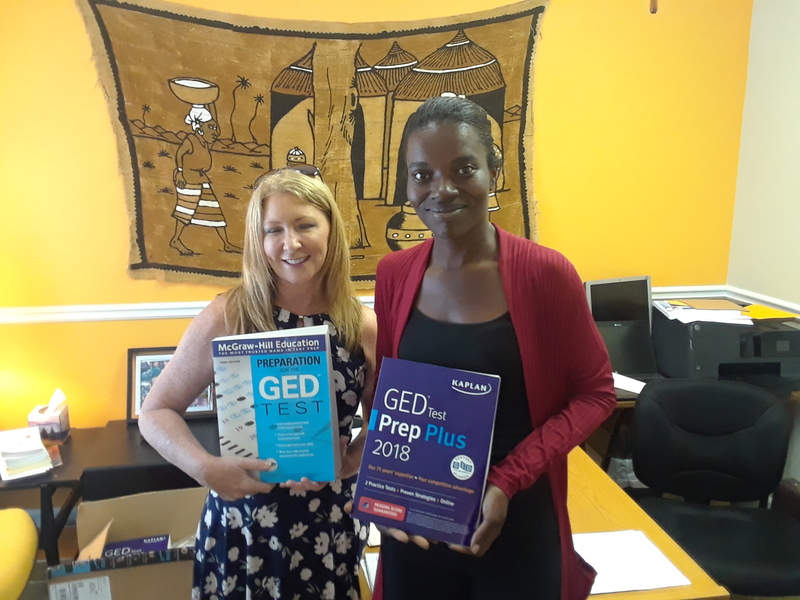 - In July, we purchased and donated 40 sets of GED textbooks and test preparation aides, as well as boxes of school supplies, to the PALS program at Women to the World. This was a critical need for the program, as the current set of books they had is outdated, and the test prep materials were used and erased over and over again. - In August, we funded 6 scholarships for women who completed their GEDs and are entering technical certification training. 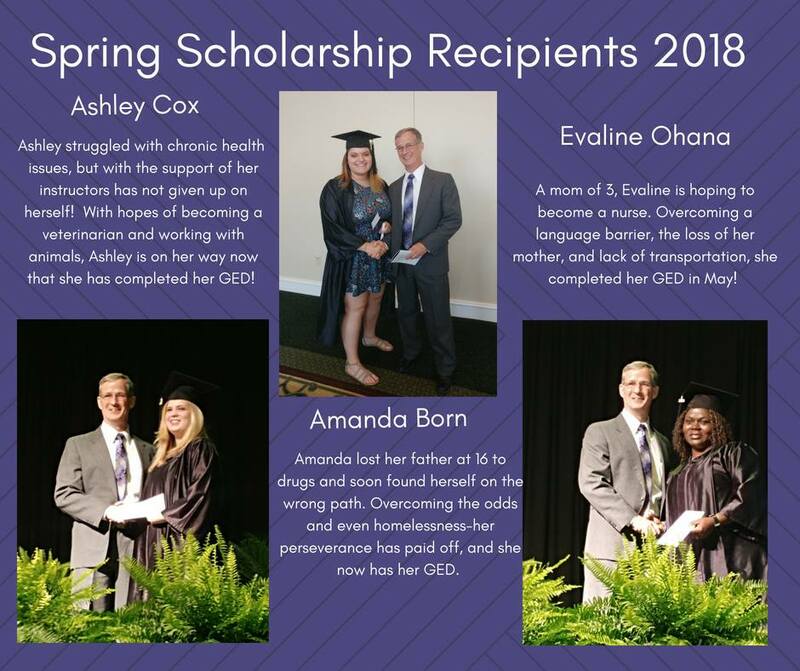 In a noteworthy sign of the success of the programs, one of the women receiving this continuing education scholarship is one of the GED Voucher recipients from March - she completed the GED, and is building more momentum going forward! 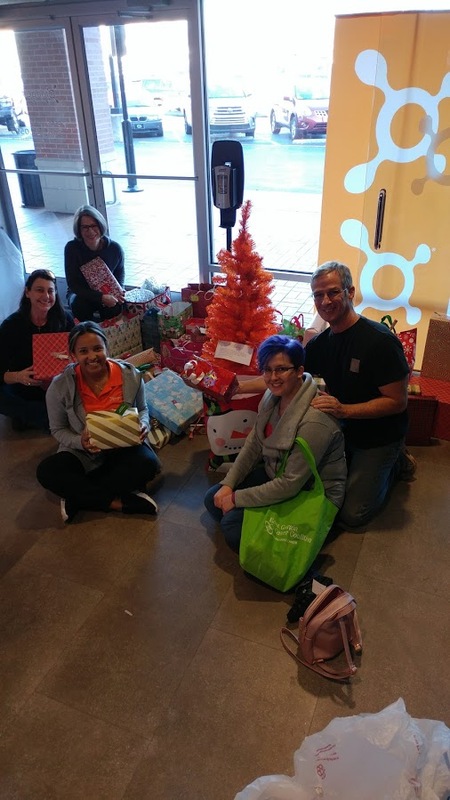 - We partnered with The Classic Center and Orange Theory Fitness to host our third annual set of Angel Trees for the women in the PALS Program. Studies show that the women have a tendency to withdraw further from society during the holiday season because of the shame of being unable to provide for their children. By providing holiday gifts, we remove this impediment to the women’s continuing education, and allow them to continue to build momentum throughout the year. 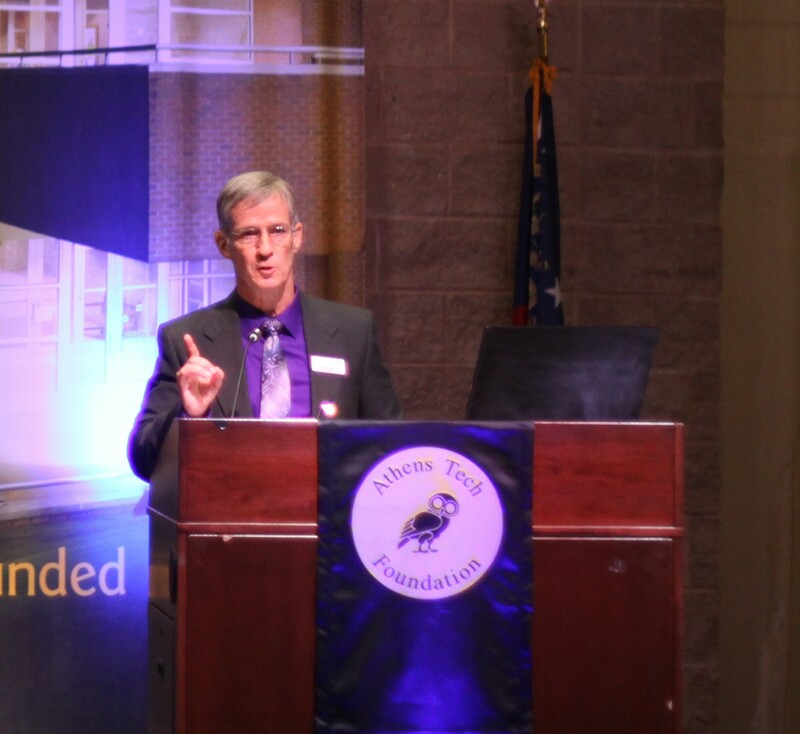 - In December, we funded a portion of the Athens Tech Roll Out Rescue Program. This program ensures students are unable to afford to pay all of their registration fees at the time of registration, are not disenrolled. We had the privilege of presenting an additional six post-GED scholarships at Athens Technical College! These women ranged in age, background, and interests, but all had one thing in common - the drive to continue their education after completing their GEDs. 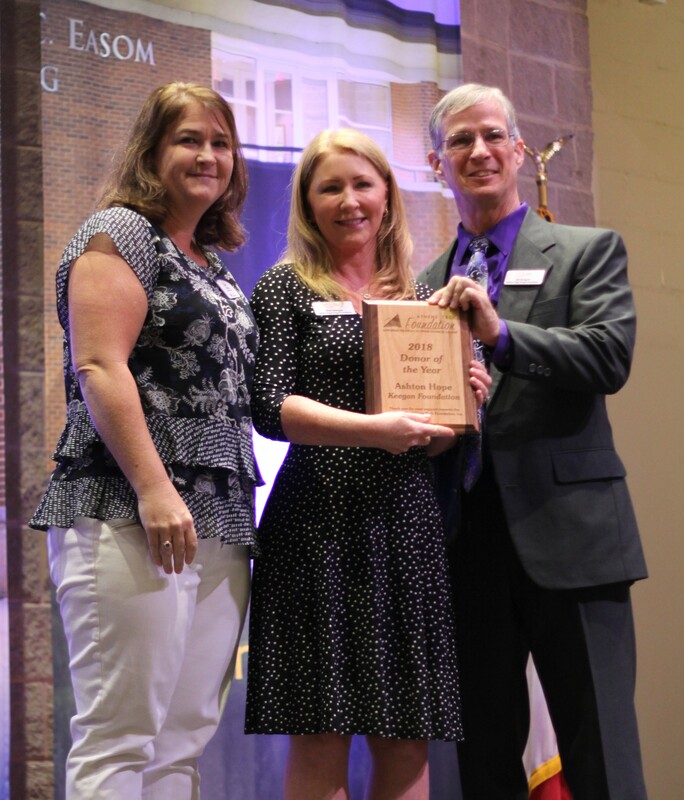 Just before we started the presentations, the Athens Technical College Board of Directors and President gave us a tremendous honor, and presented us their Donor of the Year award! Ashton would be so proud that her legacy is still making such a difference in the community! August 11, 2018, Watermelon Party: We had a great, family-friendly watermelon party with our friends at Southern Brewing Company. Kids of all ages had a blast playing games, eating at the food trucks, a listening to the kicking band. And, of course, we had great beer! Special thanks to the Southern Brewing Company for brewing a special watermelon beer, just for this event! 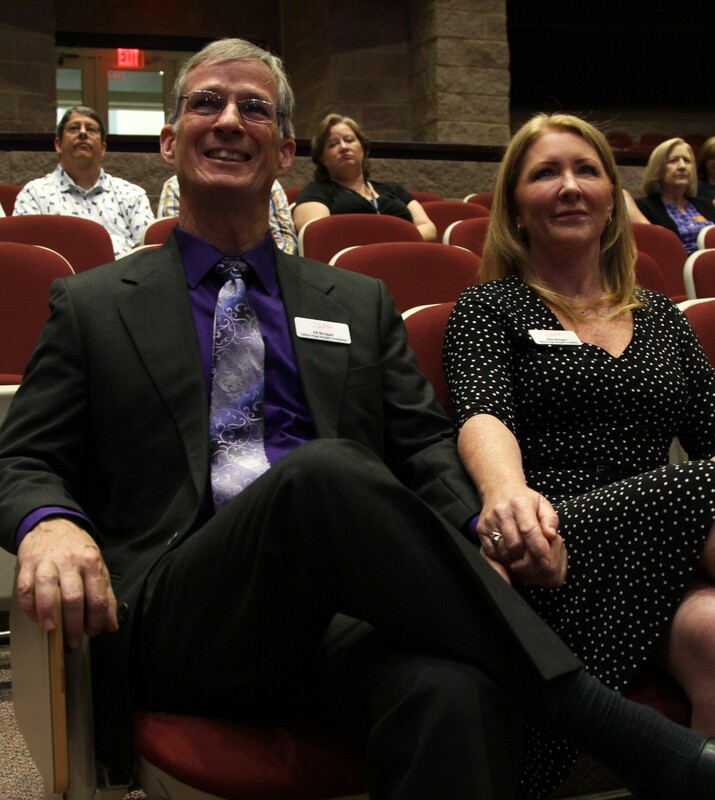 The event not only generated a great opportunity for the community to come together, but it also raised enough money to fully fund another continuing education scholarship for a woman who completed her GED and will now get technical training to immediately enter the workforce. Thank you all! We presented 40 sets of GED Prep books and Study Guides to the PALS Program, where Ashton spent her free time teaching GED classes. It represented a significant increase in our community's ability to sustain the GED training classes, as now each student got their own set of books and electronic study guides. Twenty more sets of books are on back order, and will be delivered once they come available. We can feel the momentum build, and feel Ashton smiling down as "her ladies" continue to progress! May 2018: Ashton Hope Keegan Continuing Education Scholarship presentations! On May 2, 2018 we had the enormous honor of presenting these three women with a scholarship from Ashton Hope Keegan Foundation so that they may continue to achieve their goals. 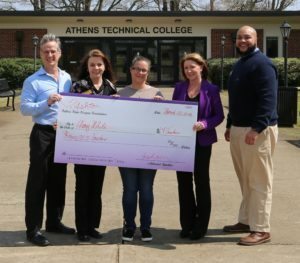 Partnering with Athens Technical College, we have been working to identify women that have the desire to continue their education, but are at risk for losing their momentum due to circumstances beyond their control. 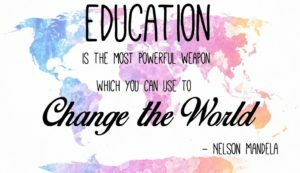 Whether it be cost of materials, books, vaccinations, transportation or childcare, the vouchers presented to these women can be used to help with those costs that traditional scholarships and financial aid cannot. We cannot wait to follow the journey these women are on! March 23, 2018, GED Scholarship presentations! 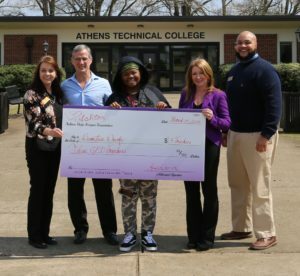 On March 23, 2018, the Ashton Hope Keegan Foundation was able to award six GED Scholarship vouchers to students at Athens Technical College. These students represent everything Ashton stood for- they faced a challenge, and decided to overcome that challenge. They focused on success, and took the initiative to earn that success. The Foundation is so proud of them, and looks forward to seeing them cross the stage when they complete their GED! 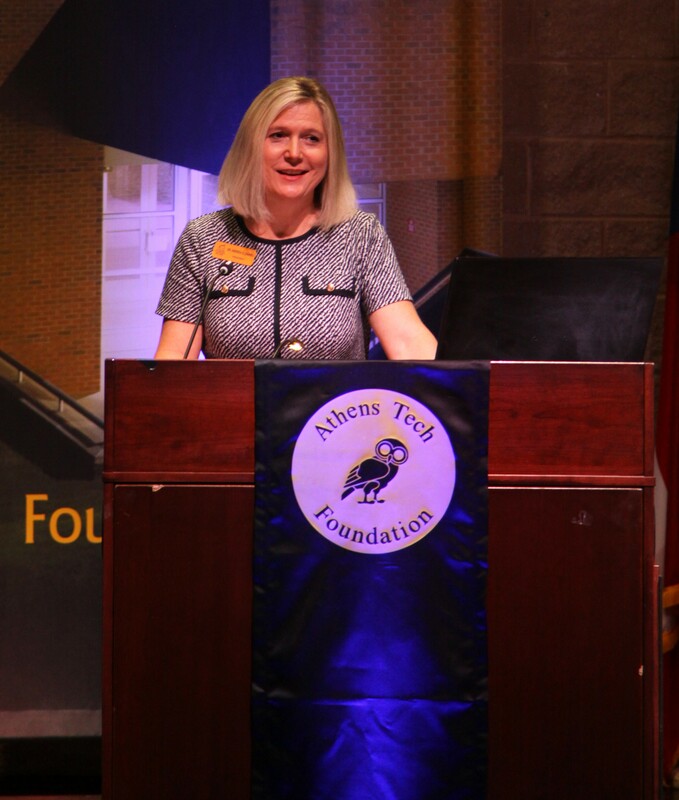 We would like to thank Stephanie Benson, Vice President for Adult Education at Athens Technical College, and Antoine Boynton, Executive Director of Public Relations and The Athens Tech Foundation, for making this partnership a success. 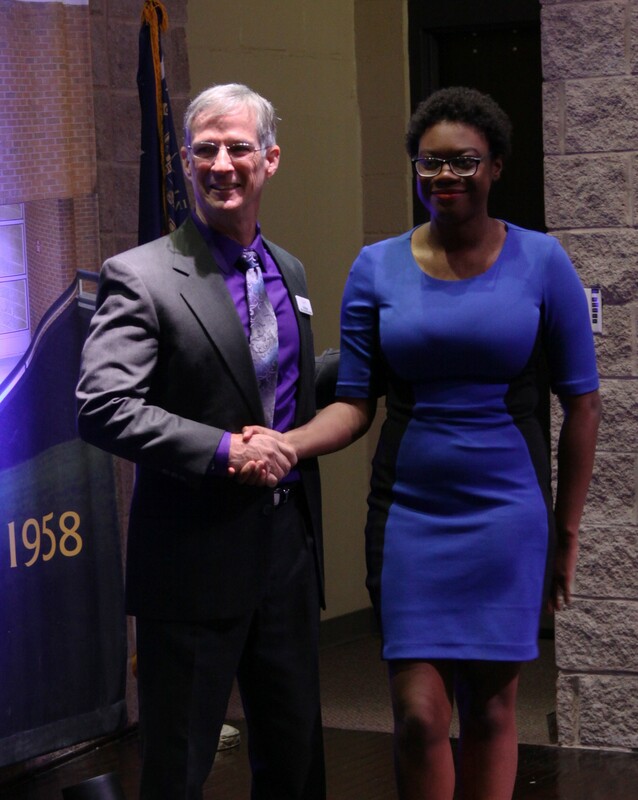 We look forward to making a difference in many more women's lives with these scholarships! Amy White is "a single mother of three, work three jobs to make ends meet, and am trying my best to get my GED to better myself for my children." Her life goal "is to accomplish getting my LPN, and to show my children that at any age you can accomplish your dreams." Demetria Dowdy's mom always told her she should achieve greatness for herself first, then for others. That advice resonated, and she is now pursuing the GED to proved she can achieve something big in her life. She has always had a passion and talent for drawing; after her GED, she wants to get into animation and cartoons for a career. Viviana Suarez was forced to drop out of school after a death in her family. Faced with adult responsibilities, she needed to work. However, she decided to put a priority on her education because, as she says, "...my education is so much more important than some full time job because education will always be there unlike a job." 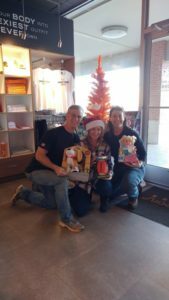 Angel Trees for Christmas 2017! Orange Theory hosted two of the trees, and Krimson Cafe hosted the third. By the end of the first day, we got a call saying all of the names are taken, and people are asking for more! We added all of the names again - and they were again all taken. 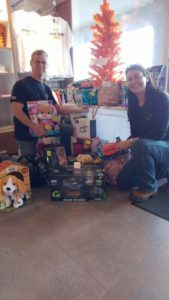 In the end, the community donated more than 70 gifts, plus some cash donations, in just over one week! Due to the generosity of the Athens/Oconee communities, each child on this year's Angel Tree list will get two gifts instead of one! 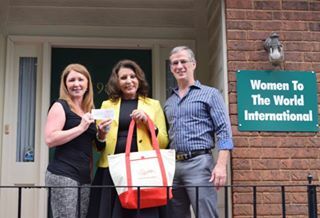 In late August, 2017, the Ashton Hope Keegan Foundation met its first goal, making a donation to Women to the World's PALS program. The donation provided the funding and supplies needed to get 3 women through their GED program. The donation was one week before the first anniversary of Ashton's death, and represented the continuation of Ashton's work as a tutor and mentor to the women in this program. These women were at the center of Ashton's heart, and knowing that she continued to make a difference in their lives would have made her happy. INTERNATIONAL WOMEN'S DAY is celebrated as PALS students continue climbing the ladder to higher learning and literacy through Women to the World. Thank you, Athens, for your incredible support for each woman photographed here today. You have provided scholarships for all the brave women enrolled at PALS. 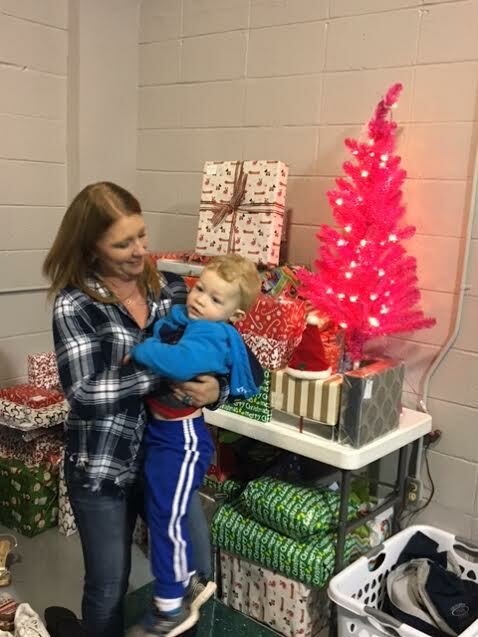 Christmas Party for the women in the PALS program, December 2015. Lots of fun, lots of food, and lots of laughs for children of all ages!